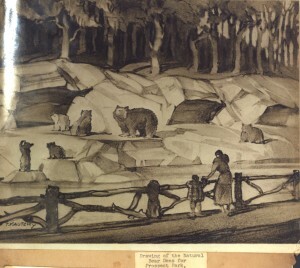 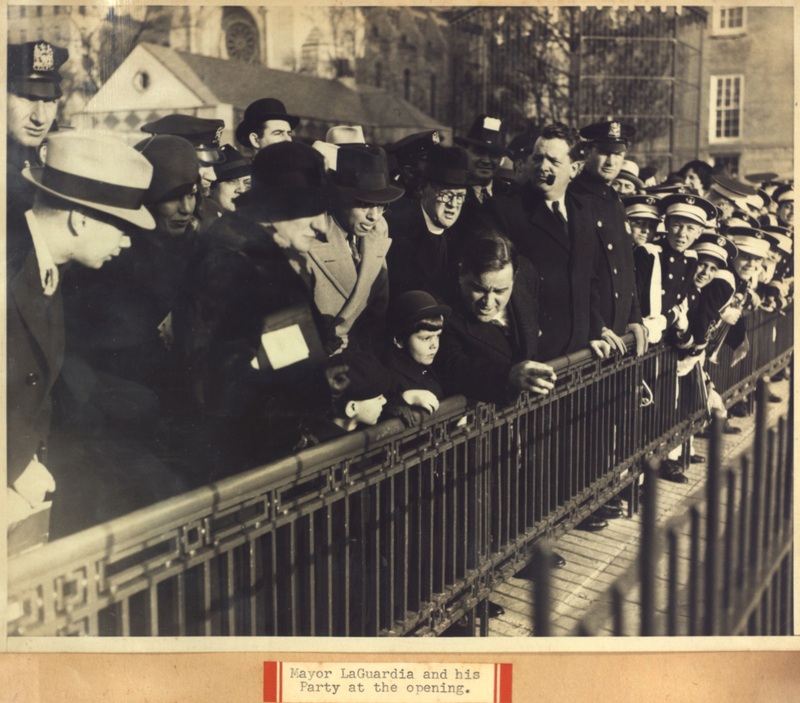 During the Great Depression, New York City Parks Commissioner Robert Moses embarked upon a wide-ranging overhaul of the NYC parks system that included the reconstruction of the Central Park Zoo and the construction of the Prospect Park Zoo. 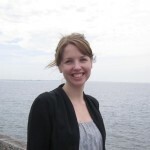 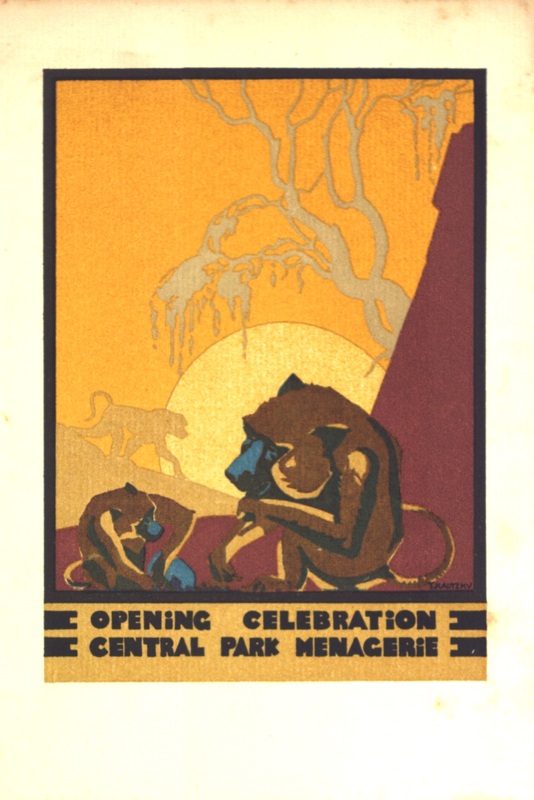 (Links lead to New York City Parks Department history pages.) 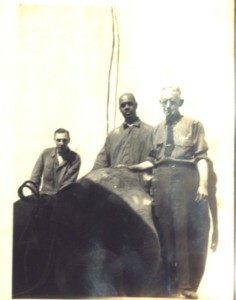 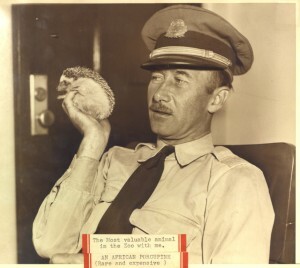 Robert Moses first hired Captain Ronald Cheyne-Stout as an animal consultant for the two zoos, and later took him on as the zoos’ Menagerie Director. 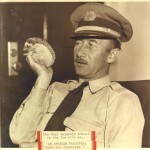 Cheyne-Stout served as Director from 1934 until 1939, when Moses fired him. 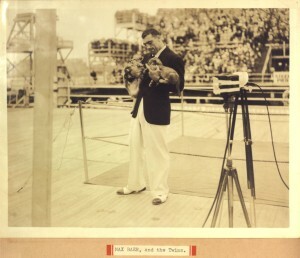 The circumstances of the dismissal were disputed, as Moses claimed negligence while Cheyne-Stout claimed that he was fired because he was about to file for a pension (he suffered lingering health issues following a 1936 lion attack). Cheyne-Stout sued the City, and after a lengthy appeals process, was finally reinstated in 1941, at which point he retired and applied for his delayed pension. 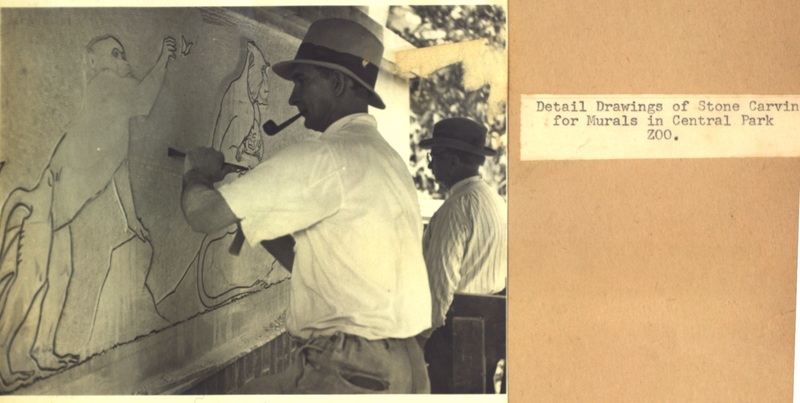 Among the treasures in the WCS Archives is a scrapbook compiled by Cheyne-Stout that documents the zoos’ construction, facilities, and animals, as well as various celebrity friends and guests. 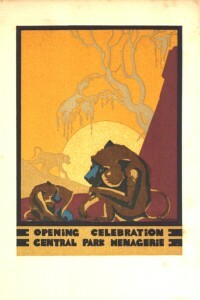 The scrapbook, part of the Archives’ collection of records relating to the so-called ‘City Zoos,’ gives a sense of the zoos’ operations a half-century before their administration was transferred from the City of New York to the New York Zoological Society in the 1980s. 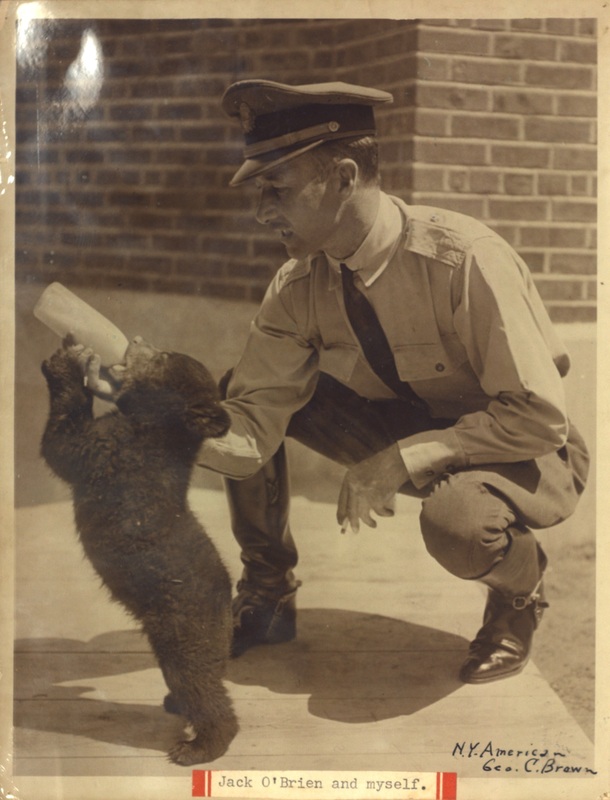 We have extremely little material on the City Zoos from before the transfer, so Cheyne-Stout’s record of his time is a highlight of our collections. Below are a few images from the scrapbook, which came to the WCS Archives in 2005 as the gift of an anonymous donor. 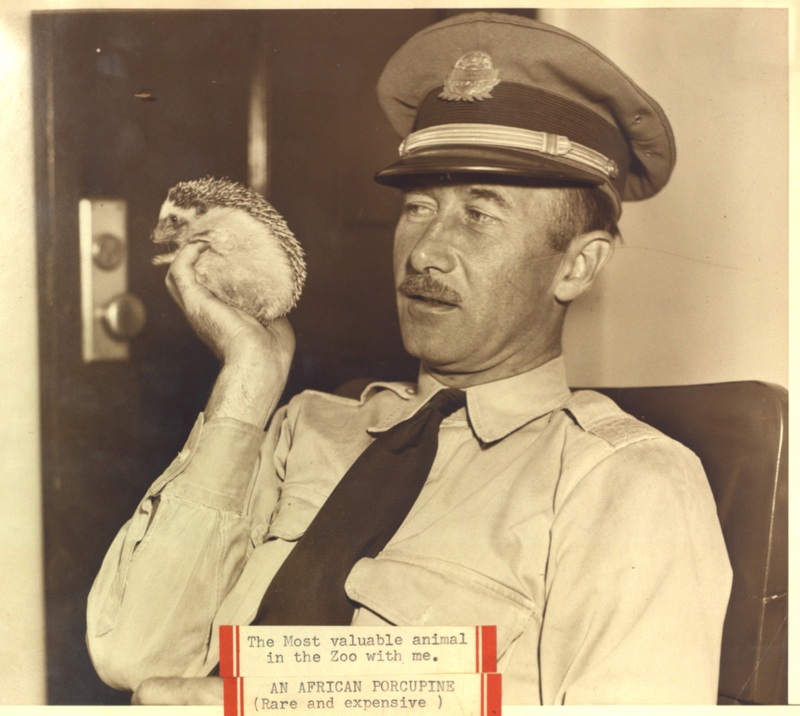 Captain Cheyne-Stout with his favorite zoo animal, a hedgehog named Spiny, whom he kept as a pet in his office and apparently mistook for a porcupine. Thank you for pointing this out to us!